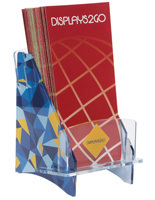 We've assembled a small collection of popular literature pockets that includes a special upgrade. 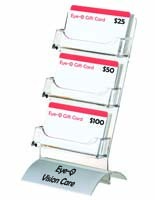 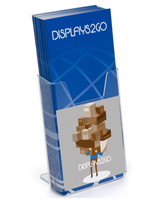 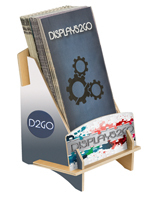 Custom printed brochure holders add a personalized touch to your marketing efforts. 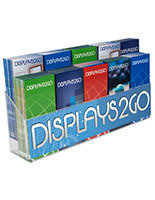 Let your customers know you mean business with your company name or logo emblazoned on the front and/or sides of these displays! 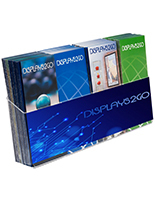 Dress up any marketing presentation with full color imagery thanks to today's high quality UV flatbed technology. 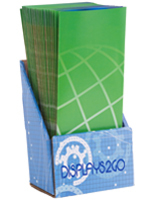 We can match PMS colors and print highly detailed graphics with fine gradients. 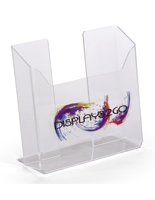 Our in-house printer prints your custom artwork permanently on second surface, meaning on the back side of the acrylic plastic. 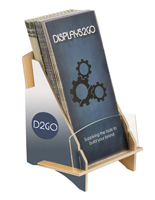 The brochure holders on the surface remain clean and shiny while your design stays protected on the reverse. 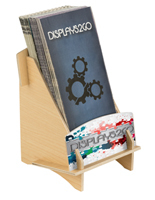 Also available are economy ship-flat wood and cardboard literature displays with the printing on first surface. 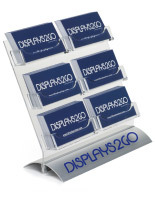 Another style features business card holders that snap into aluminum bases. 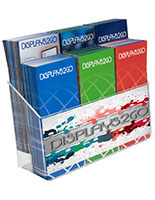 These particular models offer single-color sign vinyl for vector graphics only (due to the curved base design). 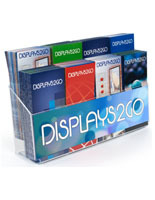 Featuring small minimum order quantities starting at 50 units, we provide this excellent service at low cost without requiring the high volumes normally associated with custom printing.